About - People to People Ministries Inc. In the mid 1980s local community newspapers reported that many public school students were having difficulty in reading and math skills. Test scores of African-American children were below their peers by two and three grade levels. In addition, their suspension rates were also two to three times higher. In an effort to help these children we started providing tutorial services for children in grades 3 to 6 through a program called CITY (Citizens Involved in Teaching Youth). During the summer we operated a 6-week summer enrichment program. From 1985 to 1992 we provided many hours of tutorial services to hundreds of inner-city children. In 1991, fueled by the encouragement of parents, a little school was started with 13 children in a neighborhood house. A year later, Maranatha Volunteers International Oregon chapter helped us construct a new facility and we moved into the Community Learning Center (CLC) located on Northeast 42nd and Prescott in September 1992. This center replaced the CITY tutorial program, opening with an enrollment of over 60 children from pre-K to sixth grade. In 2007 the learning center closed its school and directed its outreach to other areas. People to People Ministries under Urban Health Project organized health and wellness seminars and Wellness Check-up services for the community. This was done in coordination with area hospitals and health professionals. A variety of health classes and screenings were offered to address the health issues of inner-city residents. Seminars and assessments offered include Vegetarian Cooking, Health Assessments, Community Health van, and screenings for Osteoporosis, Diabetes, Cholesterol, High Blood Pressure, and Stroke Alert. Another outreach activity of People to People Ministries was its religious studies ministry. Through this dimension speakers were held on the prophetic books of Daniel and Revelation. Literature and books were also mailed to area residents, handed out or simply made available to interested individuals. The purpose of these seminars has been to assist those who were seeking a greater understanding of the Bible and its relevance to our world. There are times when People to People Ministries partners with other non-profit organizations in helping needy children and families. Some of the areas we are involved with include distributing food baskets, helping homeless children, and providing school supplies. Hunger exists everywhere, even in America. 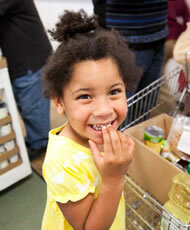 It does not matter if you live in an urban, suburban or rural setting - hunger has no boundaries. Millions of Americans are struggling with hunger. These are often hard-working adults, children and seniors who simply cannot make ends meet and are forced to go without food for several meals, or even days. In many ways, America is the land of plenty. But for 1 in 6 people in the United States, hunger is a reality. 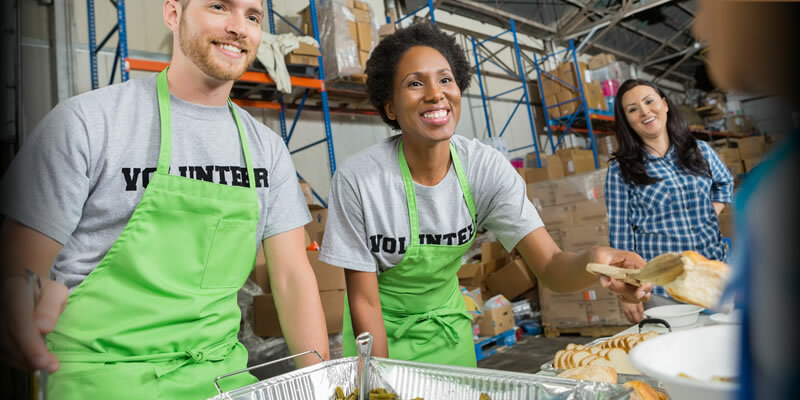 The Backpack Food Program which operates in many schools in Portland, Oregon and across the United States provides food items in backpacks each weekend for economically disadvantaged children. The program puts enough food for two lunches in the backpacks of needy children every week of the school year to ensure they will have something to eat on Saturdays and Sundays. The need is great. Your financial contributions can make a difference. We invite you to join People to People Ministries in our effort to help change the lives of children and families in need. Encourage your Neighborhood Association, business, organization, faith community or friends to support students who are at risk of hunger on weekends. Our goal for the 2015-2016 school year is to provide food for 400 students 1 to 2 weekends a month in the Weekend BackPack Lunch Program. This will include providing for 6 schools. Our goal is to raise $15,000 to fully fund the program. The Food Assistance Program offers emergency food to helps supplement low-income Americans and others in need of food support. 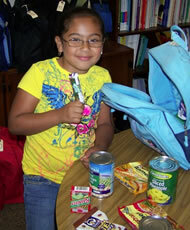 Families may be referred through the Backpack Program, churches, and local agencies. For those in need of emergency food assistance. The Mobile Food Pantry is available on the 3rd Tuesday of each month from at 3:30 to 5:30 pm. It will be located at 4815 NE 7th Ave, Portland, OR 97211. Call 503-893-9022 for eligibility details and an appointment time. Limit 30 families.